As the benefits of improv on the brain continue to emerge, mental health professionals and improv theaters all over the world have created therapeutic programs. 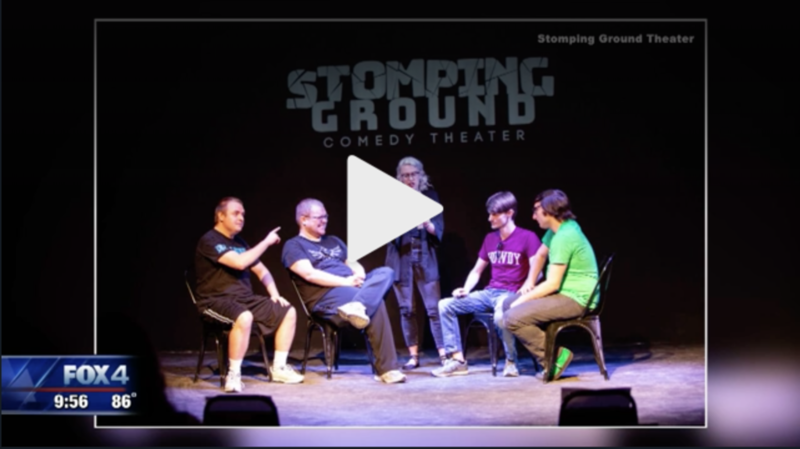 Stomping Ground Comedy’s Improv for Life (IFL) program offers therapeutic improv classes for populations with unique needs in the community.IFL Program Director Andrea K. Baum is a psychotherapist and improviser who pulls from her extensive mental health training and experience when developing classes to reach the specific needs of each population. Take a class and see that the brain learns better when you are having fun! This class is for anyone interested in finding the funny in a judgement free zone. No theater experience necessary! The therapeutic benefits that are naturally embedded in the learning and performing process of improvisational comedy parallel the needs of a person with autism. Each class is customized with hand-picked improv games that benefit students and their needs the most. While having fun and lots of laughs, students will also be practicing social and communication skills while gaining confidence and emotional awareness. Oftentimes those with Alzheimer’s struggle with remembering the past and understanding what their future holds. This class is customized for those with Alzheimer’s, with exercises and games used to help them be more present and “in the moment” in their day-to-day. For those with brain injuries, improvisation can help improve social functioning, encourage reintegration into the public, reduce anxiety, gain self-awareness, and increase self confidence while engaging and rebuilding parts of the brain. Research shows that after a brain injury the brain has the ability to heal and relearn to varying degrees, and role-playing and improvisation can aid in this process. This class is structured to educate and support those caring for a loved one with Alzheimer’s. Caregivers can sometimes feel frustrated that they cannot help their loved one re-learn or recollect memories and information. Through improv, caregivers will have a new roadmap to communicating and interacting with their loved one and can improve flexibility, adaptability, listening, and acceptance. They will also find support by meeting other caregivers with similar challenges. Individuals with anxiety sometimes have difficulty forming connections with people outside their comfort zone. This class aims to help them connect with one another through improv and gain self-confidence in situations that may have once caused anxiety. The class can also be taken as an Introduction to Improv for those who may feel apprehensive about starting classes. In this accepting environment, individuals are able to explore and process triggers together and promote group cohesiveness through play and humor.